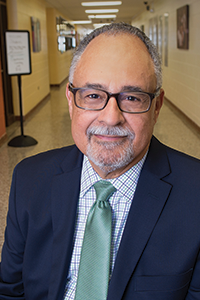 Alfred A. Roberts, president of Southside Virginia Community College (SVCC), says he’s never seen a better opportunity for community colleges to help lift their communities financially. In an essay on the college’s website headlined, “Workforce Credentials Assure Economic Vitality,” Roberts laments reports showing the percentage of people in America’s middle income group has fallen to less than half of the nation’s population. Named president of the school in 2014, Roberts has worked in various positions at SVCC since 1995. 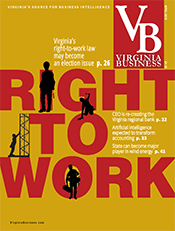 He says that Virginia’s community colleges have developed a comprehensive plan to expand worker-training programs and ensure that Virginia’s labor force has the credentials that employers require. In his biennial budget proposal, Gov. 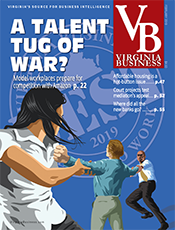 Terry McAuliffe proposed a new effort to fund and increase the breadth of noncredit workforce credential programs in community colleges and to boost the number of students receiving certification in high-demand fields. The state’s final two-year state budget includes $12.5 million for credential incentives, as well as $6 million for equipment needed by career and technical training programs. The governor also signed into law measures that he says would establish a workforce training program targeted to increase specific industry certifications and occupational licenses that meet the needs of businesses in each region of the state. Already, community college programs throughout the state are helping industries facing workforce shortages while also retraining laid-off workers in hard-hit industries. 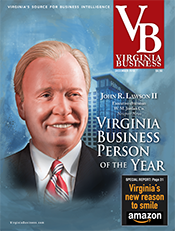 Roberts’ college serves Southern Virginia, a region that consistently has had higher unemployment rates than the commonwealth and the nation. 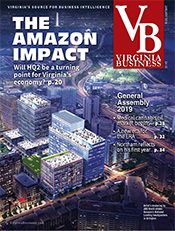 In December, for example, the Virginia Employment Commission reported that the area served by the SVCC had an unemployment rate of 5.5 percent, compared with a statewide average of 3.9 percent and U.S. average of 4.8 percent. 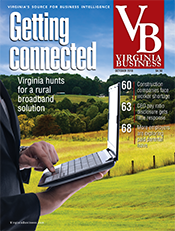 The community college’s service area cuts a wide swathe across Southern Virginia. It includes Emporia and the counties of Brunswick, Buckingham, Charlotte, Cumberland, Greensville, Halifax, Lunenburg, Mecklenburg, Nottoway, and Prince Edward. The community college has nine locations throughout the region. Roberts says recent layoffs in the tobacco and coal industries and force reductions in the military have exacerbated employment problems not only in Southern Virginia but also in other areas of the commonwealth. 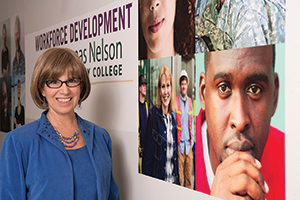 One part of the state’s efforts to retool and expand its workforce development efforts is a focus on fields where there are looming shortages of qualified workers. One of SVCC’s new programs involves training people to become power-line workers. The electric power industry expects to face a shortage of these workers as the current workforce ages and retires. The program includes 12 weeks of classroom and hands-on training. Keith Harkins, SVCC’s vice president of workforce development, says that, despite charging $9,950 in tuition per student, the program has a waiting list. In return for tuition payments, each student receives a full set of tools valued at more than $2,000 along with training leading to a commercial driver’s license. The program’s initial class, which began March 1, was limited to 12 to 15 students, with future classes enrolling 15 to 20 students. The power-line project will benefit from a $200,000 state incentive grant, with Virginia’s 13 electric cooperatives matching that amount with financial support and donations of materials and equipment. The cooperatives also provide advice on designing the program and setting up the training yard. 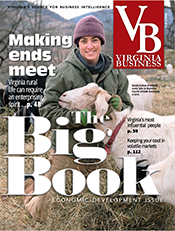 The matching grant for the program is part of the Rural Virginia Horseshoe Initiative, whose aim is to transform Virginia’s rural communities through higher education and 21st century jobs skills. The power-line program is based at SVCC’s Occupational/Technical Center at Pickett Park in Blackstone. Jeffrey Edwards, president and CEO of Southside Electric Cooperative, and John Lee, president and CEO of Mecklenburg Electric Cooperative, are strong proponents of the program. Edwards emphasizes that being a power-line worker is no stroll in the park. “They work in all types of weather, whether it’s the hottest day or the coldest day. It’s hard work, handling coils of wire, transformers — and you can’t be afraid of heights,” he says. During the training program, prospective power-line workers climb poles that are up to 65 feet high. There is plenty of opportunity for overtime. Under reciprocal agreements, power line workers from one state often work in another state when serious storms strike and electric power is disrupted. Lee, the Mecklenburg Electric Cooperative official, says that workforce programs like the power-line training project will lay a foundation for economic growth in Southern Virginia. “I would like us to go from a survival mode to a thriving mode,” Lee says of the region. 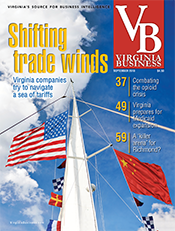 Virginia’s shipyards represent another industry facing a potential skills shortage because of an aging workforce. Thomas Nelson Community College, in collaboration with other Hampton Roads community colleges and Newport News Shipbuilding, recently completed an accelerated three-year program to train workers in shipyard skills, including occupations such as marine electrician, outside machinist, marine painter and marine welder. The results have been impressive, college officials say. The program trained 388 students with a 98 percent completion rate. Of those graduates, 94 percent were hired at $16 an hour with full-time wages plus benefits at Newport News Shipbuilding. Tidewater Community College, meanwhile, is retraining Navy veterans to work in the growing solar-energy field. 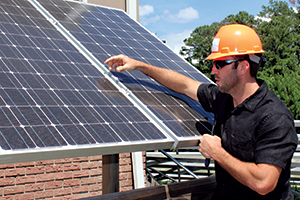 Participants in the intensive, five-week Solar Ready Vets program are training for positions as installers, designers and project managers. They learn how to size and install solar-energy systems, connect electricity to a grid and comply with local building codes. The solar-energy field expects to add 36,000 full-time employees nationwide every year for the next six to eight years. TCC partnered with the U.S. Department of Energy and the the Navy Region Mid-Atlantic in developing the pilot program. 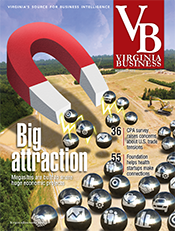 Community colleges also are responding to downsizing at Virginia coal mines. The community college system announced in January that it would use a $2 million federal grant to retrain approximately 210 workers affected by layoffs at Bristol-based Alpha Natural Resources, one of the nation’s leading coal producers. 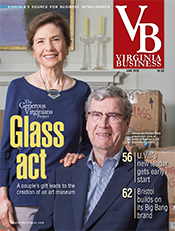 Glenn DuBois, chancellor of the Virginia Community College System, and Barry DuVal, president and CEO of the Virginia Chamber of Commerce, agree that industry certifications in fast-growing areas are a pathway to career opportunities for Virginians and a way to fill a job vacancy backlog. 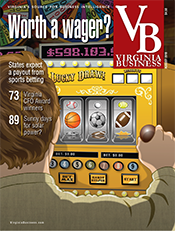 They say there were 175,000 job vacancies in Virginia last year that required post-secondary certifications. 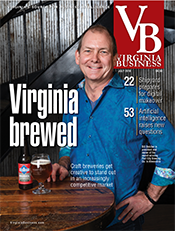 Roberts, the Southside Virginia Community College president, says that as a partner in the effort, his college is committed to tripling the number of credentials earned by students. “It’s a stretch,” Roberts says, but one he believes is absolutely necessary.